Michael has over twenty-five years of development, investment banking, financial advisory and construction experience. He has originated, financed and managed projects valued in excess of US $4 billion for The Moinian Group, Worldwide Group, and Kumagai-Gumi, Ltd.
Michael has an MBA in Finance from New York University’s Stern School of Business Administration and Bachelor of Arts from Boston College. Michael lives on the Upper West Side with his wife and two boys. 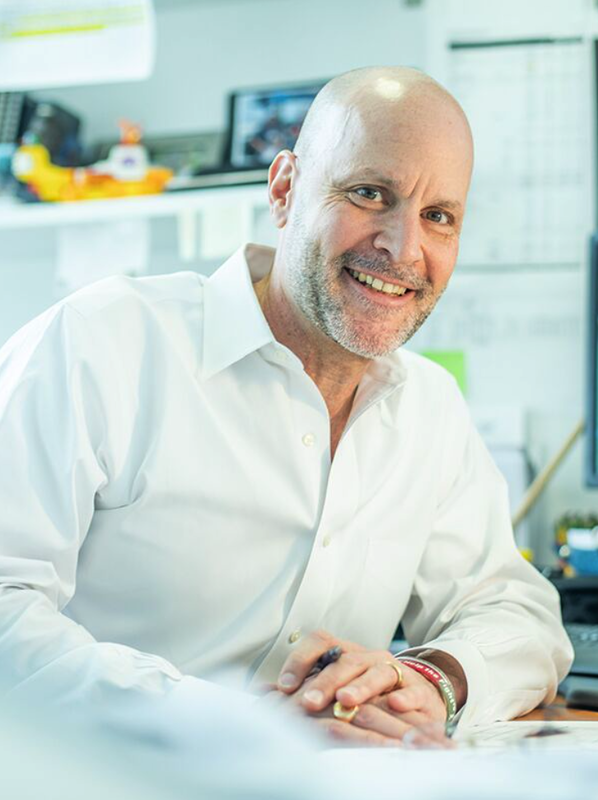 With over twenty-five years of development, finance and construction experience, Doug has directed over US $4 billion and close to 10 million sf of commercial development and acquisitions, primarily in New York, Miami Beach and Las Vegas. Doug graduated from Princeton University with a degree in Architecture and earned an MS in Real Estate Investment from New York University. He is a licensed New York State real estate broker and holds the LEED, AP designation. Doug lives in Montclair, NJ with his wife and three kids. As a project architect for some of New York’s pre-eminent residential high-rise residential architects before joining Edifice, Eduardo brings a vast amount of knowledge of building codes, zoning regulations, condominium declaration and the building permit approval process. He is the definition of “follow up” and is well respected in the New York City construction arena. Eduardo graduated from Syracuse University with a Bachelor of Science in Architecture. David is a licensed architect with over 10 years of design, project management, and construction administration experience. He has overseen ground up new construction, landmark renovations and enlargements, and master planning projects with BKSK Architects and Samoo Architects and Engineers. Having ushered complex projects through land use and preservation commissions, he has a keen ability to find opportunities within the tight constraints of regulatory agencies. David has a Master of Architecture from the University of Pennsylvania and Bachelor of Design in Architecture from The University of Florida. With more than five years of experience in construction and development management, Danny specializes in difficult projects ranging from 150,000 cubic yard environmental soil remediation to foundations located in flood zone areas with high water tables. He is well acquainted with the development side of real estate including construction financing, monthly requisitions, insurance and marketing. He is skilled in project communication and the recently implemented web-based project management systems. Danny has a Bachelor of Arts in History from Princeton University. With more than eight years of experience in both construction and development management, Scott specializes in residential and hospitality related projects. Since joining Edifice, he has become acquainted with the development side of real estate including project accounting, insurance, contract management, and job site supervision. Scott graduated from the Culinary Institute of America and Montclair State University with degrees in Hospitality and Economics respectively. Matt came to Edifice with prior experience as an assistant project manager from a large New Jersey general contractor. With a precise and diligent manner, Matt graduated with a Bachelor of Arts from Columbia University and holds a Real Estate Investment Certificate from Harvard University, where he is pursuing a master’s degree in finance. While at Yamaichi International, Susan was the Head of Commercial Real Estate Loan Servicing and developed the guidelines and the system of checks and balances for the loan servicing department. She has successfully tracked more than of $1 billion of draw requests, project requisitions and equity distributions and was the liaison with the corporate accountants to prepare the year-end financial statements and tax returns. Susan is a notary public and constantly wields that enormous power over each of the principal’s heads. Carey manages the content and flow of vendor contracts and proposals. Her broad experience includes years in both business and legal services, including general corporate law, mergers and acquisitions, trusts and estates, and securities/investment management services. Carey has a Bachelor of Arts from Lehigh University and a Juris Doctor from Fordham University School of Law, where she graduated with honors.